The 9 Best Places for French Fries in Washington! French fries are an iconic comfort food in American cuisine. The crispy deep-fried potato treats come in many shapes and with various choices of flavoring, from the skinny plain salted version to the sweet potato variety. Whether paired with a sandwich or on their own, here are the 10 best places for French fries in Washington. This store may be small in size, but they deliver big flavor on menu items like burgers, pulled pork sandwiches, ham and cheese, and other tasty items, and when it comes to the best fries in the area, they have choices like hand-cut “Swine Fries” made in rendered pork fat with salt, garlic, and green onion added, or “Danger Fries,” which are Swine Fries smothered in a yummy bacon-blue cheese béchamel sauce. With a warm and welcoming environment, South Fork Pubic House in Pullman, Washington, is a modern-style pub that’s known for its pub-style menu items, flat screen TVs that let you watch your favorite sports team, and a full line of beers on tap. And their French fries are absolutely legendary. Order their “Rack O’ Ribs” which comes with almost two pounds of “fork-tender baby back ribs” served on top of their famous fries. There’s not much better than a great burger, shake, and fries, and Boomer’s Drive In in Bellingham, Washington, delivers without compromise. This red, white, and black retro-inspired drive-in has a comfy interior complete with fireplace or curb-side service when you want to dine in, but not at home. Consistently voted Number 1 in the area, Boomer’s has delicious waffle-cut fries included with burgers or as a side. If it’s good vibrations that you crave, visit Casper Fry in Spokane, Washington. Considered a rustic-chic restaurant, everything on the menu is inspired by the comfort foods of the Deep South, whether it’s the salads, the shared, small, or big plates. And when it comes to our favorite fried potato, the garlic fries here are to die for. Drive up to EZ’s Burger Deluxe in Wenatchee, Washington, for some really big burgers, thick and creamy milkshakes, and some of the best fries in the state. You can chose sweet potato fries, curly fries, or curly cheese fries with your favorite burger made from fresh ingredients and prepared just the way you like it. Fish Tale Brew Pub opened their doors for business in Olympia in 1993, and has become one of the premier spots for cutting-edge Northwest ales and beer. With two other locations in Washington, this brewery has grown in popularity, largely due to the friendly atmosphere and great food found there. The variety of French fries here is what potato dreams are made of. Try the classic Fish Tale fries, sweet potato fries, or garlic fries—each one is an ideal option. You don’t have to be in Boston to experience wicked great beer. Barley’s Brewhub in Kennewick, Washington, has more than 40 craft beers on tap and a selection of awesome bar food to enjoy. Family owned and operated, this full-service restaurant features homemade barbecue, burgers, wraps, salads, wings, and other hunger-hitting choices. Their Hub Grub menu includes regular French fries, loaded fries with queso, bacon, sour cream, and green onions, and chili cheese fries, and you can ask to have your favorite version sprinkled with Creole seasoning, barbecue sauce, or Himalayan sea salt. Years ago, taverns were social gathering places where folks came to enjoy a few beverages and talk about life. Today is no different, and Hollywood Tavern in Woodinville, Washington, is the perfect example of such a place. Originally built as a service station in 1922, service is still the number one priority, but with food and drinks, like the house fries, hand-cut, kosher-salted, and served with a special homemade tavern sauce. Jak’s Grill in Seattle, Washington, has been known for it’s giant half-pound burgers and all the fixings for many years, but they also have a 40-ounce Porterhouse on the menu that will challenge the most ambitious person. No reservations needed, and in fact, it’s first come, first served, and Monday night is Prime Rib Night. 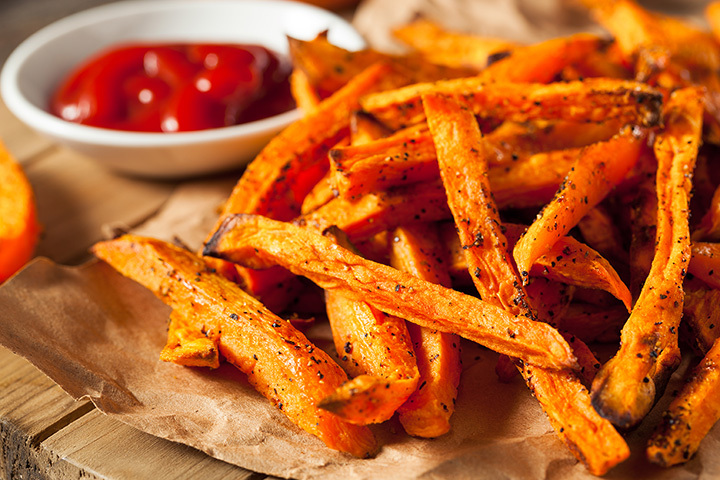 Two other locations in Issaquah and Laurelhurst have the same great service and food, like their famous sweet potato fries, baked, seasoned perfectly, and available with any sandwich or entrée. Jak’s is open every day.